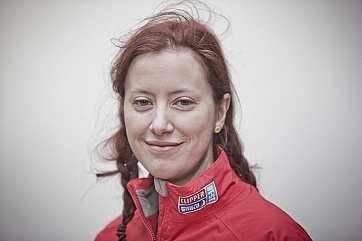 My name is Ellie, I am 32 years young and, having never sailed before, I decided it would be a good idea to take a year off from my regular employment and sail around the world. Why not. This blog is to record my experience as a Clipper Round The World Race crew member on the 2015/2016 race. Back home (in Gloucestershire) by day I am a Field Test Coordinator for an engineering company (I make graphs, send emails and try to make people send me data). By night I like to use a different name, put on rollerskates and hit my friends. Such a great blog Ellie, sounds like your having a roller coaster of a ride but hey, I’m sure you’ll be all the better for it and able to pass on some words of wisdom when us newbie’s join the boat, amazing sailing so far, keep it up! Stay safe, currently only a couple of points behind Garmin, try and beat that LMAX boat, they must have a secret motor or extra sail somewhere. Best wishes, Steve Louks and the PD ICE team.